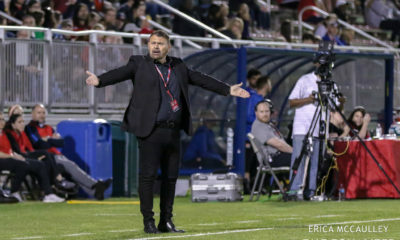 Because of inclement weather causing poor field conditions at the Maryland SoccerPlex, Saturday night’s match between the Washington Spirit and Houston Dash has been postponed until 10 a.m. ET on Sunday, July 22. Streaming info for the rescheduled game will be tweeted from The Equalizer’s Twitter account (@EqualizerSoccer) once available. Sky Blue FC fell to the visiting Portland Thorns FC on yet another rain-soaked night at Yurcak Field. Hayley Raso and Ana Crnogorcevic scored for the Thorns, and Imani Dorsey scored for home side to prevent the shutout. The Thorns went up two goals early with Hayley Raso and Ana Crnogorcevic scoring in the fourth and seventh minutes respectively. Raso struck first following a perfectly-weighted through ball from Christine Sinclair from the near flank. Raso cut around Domi Richardson’s defensive efforts and fired a shot into the far upper 90 and out of the reach of Caroline Casey, seeing her first minutes since Sky Blue’s 4-3 season-closing win in Boston last September. Crnogorcevic then doubled the visitors’ lead after a poor clearance from an under-pressure Casey fell to her feet. The Swiss international seized the opportunity gifted to her with a long-range shot that sailed into the back of the net. Rookie forward Imani Dorsey then put the home side on the board in the 27th minute after a strong series of possession saw Savannah McCaskill play a through ball for Dorsey, who turned on her speed while running toward goal, drawing backup keeper Britt Eckerstrom off her line. The pair collided, but not before Dorsey got off a high-flying shot that took a bounce inside the box and over the goal line. 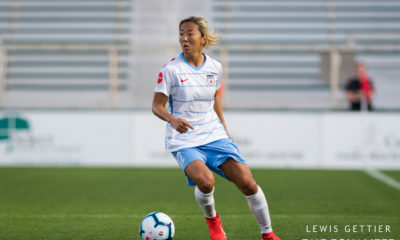 Sky Blue took control of the momentum for most of the second half and had a number of solid goal-scoring opportunities, but both Shea Groom and second-half substitute Raquel Rodriguez sent their best chances of the night and would-be equalizers off the woodwork. 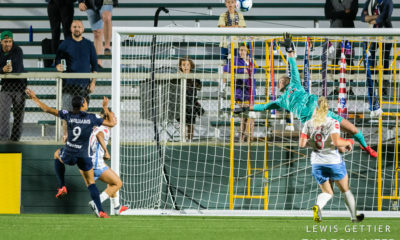 In the match’s closing seconds, Sky Blue had back-to-back opportunities, with McCaskill once again connecting with Dorsey inside the box, but Eckerstrom made a kick save. The rebound fell at Janine Beckie’s feet, but the substitute midfielder was denied on the goal-line by a Thorns defender. The final whistle blew seconds later, and the Thorns walked away with all three points. 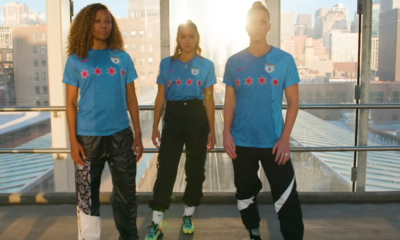 Because of the international break, Portland is off next weekend, but Sky Blue (0-13-3, 3 points) retakes the field on Saturday, July 28, when they travel to Chicago to take on the Red Stars. Portland (8-5-5, 29 points) will not take the field again until Sunday, August 5, when they travel to North Carolina for a rematch of their 2018 season opener against the top-ranked Courage. Toni Pressley gave Orlando a good start, but Jodie Taylor evened things up, and in the end neither side could find a win. This was the third and final regular season game between these two teams, all ending in draws. Orlando came out in a three-back lineup that was nearly unchanged from the one that gave them a win in Utah, with Haley Kopmeyer in for the absent Ashlyn Harris, while Jasmyne Spencer got a start for Seattle in place of Megan Rapinoe, also at USWNT camp. The first fifteen minutes played out between the boxes with neither side forcing the goalkeeper to work hard. In the 20th minute, Orlando earned a free kick that Seattle was unable to clear. Chioma Ubogagu crossed the ball into Seattle’s box for their fourth attempt of the sequence, and a deflection off Megan Oyster landed right at the feet of Pressley, who slotted it past Lydia Williams. The remainder of the first half was spent with Orlando on their heels. 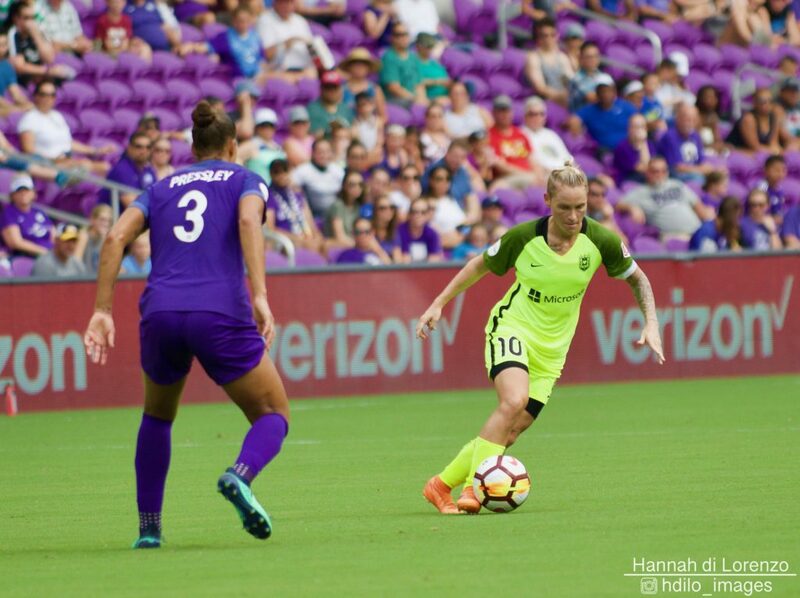 Seattle tried to find Taylor and Spencer over the top of Orlando’s backline, but a combination of the offside flag and a lack of the final decisive ball kept the Reign off the scoreboard. The second half picked up where the first left off. Ubogagu raced back to help defensively but then gave away possession in a dangerous spot, forcing Kopmeyer into an early save. Seattle pounced on Orlando’s passes and picked off the ball whenever the Pride stayed on it too long. When the Pride did win possession, their off the ball movement was too lethargic and allowed Seattle time to get back. In the 57th minute, Pressley saved an almost-surefire Seattle goal, using her body to block a shot from Taylor after she got a step on Kopmeyer. In the 70th minute, what felt inevitable by that point finally happened. 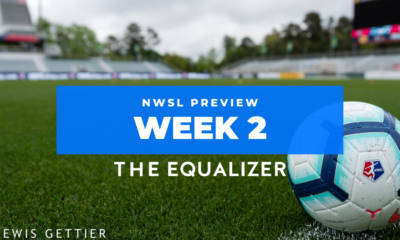 Seattle calmly kept possession in their attacking half, routing the ball around the field and probing until Steph Catley sent it inside the box to Nahomi Kawasumi, who flicked it over Shelina Zadorsky to find Taylor open for an easy tap-in. After the second hydration break, Orlando came out with the most energy and intent they’d demonstrated all match, clearly fueled by some dubious foul calls that went against them. However, it was too little too late, and the match ended in a draw that probably feels unsatisfying to both sides. Orlando (8-6-5) falls to fourth and hosts Sky Blue on August 5. Seattle will hold onto second place and hosts Washington on August 5.